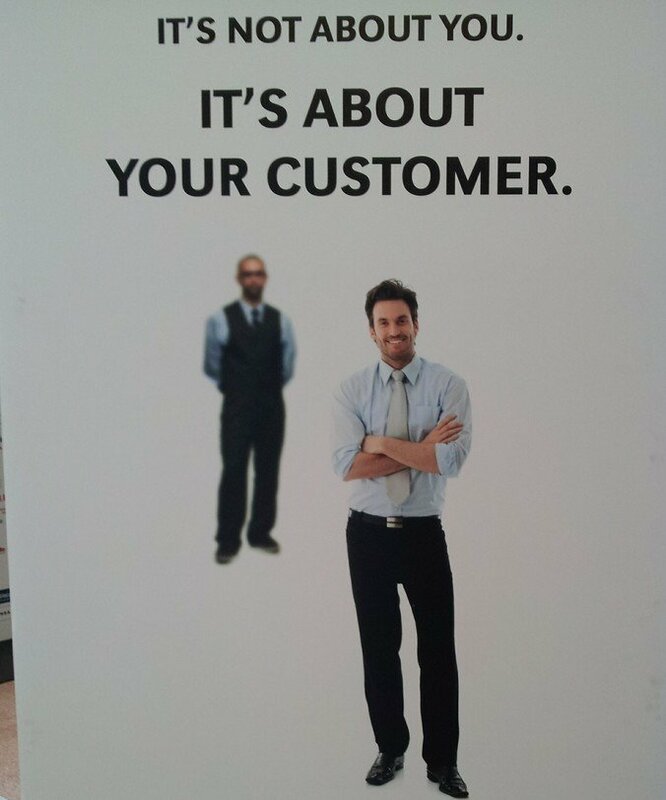 This is an ITEXPO banner from Interactive Intelligence. Never forget that it is all about the customer. It isn't about you or features or the technology or the gear. It is about the outcome for the customer. Focus on that.